There is a misconception that gluten is exacerbating or causing the features of autism. So some parents immediately put their children on a gluten-free or casein-free diet in hopes that it will ‘cure’ them. The role of gluten in the development, progress and treatment of autism is complex and under intense scrutiny. It is possible that the presence of immunoglobulin G (IgG) antigliadin antibodies, immune proteins made against a protein in wheat, indicate a subset of children who may benefit from a gluten-free diet. Studies have shown that there are increased food antibodies (IgG antigliadin antibodies and anticasein antibodies) in a subset of children with autism who have gastrointestinal issues. Although this suggests a gut-brain interaction, we do not know the direction of this interaction: Is the brain affecting gut permeability or the reverse? The presence of antibodies has to be shown to have a direct effect on brain function or dysfunction to have scientific significance as a causative factor. Nevertheless, this immune response may help to identify novel biomarkers of autism and offer new insights into the causes of some forms of autism. Several rationales may explain the presence of antibodies to gluten and casein in some people with autism. In the ‘leaky gut’ theory, impaired intestinal permeability allows harmful peptides, including gluten and casein, to diffuse into the body, where they create an immune response in the form of antibodies. Gluten may trigger an inflammatory response in the gut of some children that affects the central nervous system. A study found a significantly higher IgG antibody response to casein and gluten in patients with autism than in neurotypical individuals, perhaps an indication of systemic inflammation that could include the gut. Altered intestinal permeability may be a secondary effect of disturbed brain function, neither causing nor contributing to the brain dysfunction. The exact significance of the presence of IgG antigliadin antibodies in this subset of people with autism is unclear. Nevertheless, these individuals do appear to have more gastrointestinal problems. Most of the studies following the effectiveness of gluten-free or casein-free diets in autism have been shown to be either flawed or too small to be statistically valid. Many rely on the reports of a parent or caregiver and may be influenced by the caregiver’s desire for a positive outcome. For the 1 percent of children with autism who also have celiac disease, a gluten-free diet may have a dramatic effect on outcome. For those with nonspecific IgG antibodies to gluten, it may be helpful in alleviating symptoms, though this has not been demonstrated. For many others, isolating other causes for gastrointestinal symptoms may be the most helpful way to resolve them. Unfortunately, parents often receive conflicting advice about dietary interventions. Although food and gastrointestinal troubles are clear issues for many individuals with autism, the science of the complex brain-gut puzzle is not. There are many feeding issues in children with autism. They are often ‘picky’ eaters, perhaps a manifestation of restricted and repetitive behaviors that are a hallmark of the condition. A gluten-free diet is often low in fiber and essential nutrients, and this may only compound the problem. Recent studies on the presence of heavy metals in people on a gluten-free diet highlight possible neurological complications that need to be studied further. A restrictive diet is also difficult to enforce — children with autism often see many different therapists and clinicians in the course of a typical school day (speech, art, movement therapy). Often, each group uses food as a reward to reinforce desired behaviors. If that reward is a cookie or cracker with gluten, it may trump efforts to keep to a gluten-free diet. Thus, parents may be seeing results that relate more to therapy than to diet. For some children with autism, eating takes on a life of its own. A preference for specific foods — yellow or red, mushy or crunchy, spicy or bland — and sensory sensitivity can limit diets and create behavioral issues as well as malnutrition. A gluten-free diet is a popular consideration for this population, but has not been demonstrated to alter the condition. It may also be extremely difficult to enforce, adding additional stress to family meals. It has been hypothesized that changes in the gut microbiome play a role in autism. These studies are complicated by the fact that individuals with autism frequently receive antibiotics, are often on special diets, are highly dietary selective and often have repetitive dietary behaviors, all of which may alter their microbiota. Thus, it is difficult to establish whether the changes are a cause or consequence of autism or its treatment. Because it is difficult to study the human gut at a molecular level, some researchers have studied the influence of the microbiota on brain development and function in autism on specially bred mice. These studies have established a link between the microbiota and autism-like behaviors, but not the underlying mechanisms. That is, it is not clear whether alterations in the gut microbiota are causing features of autism. Some studies indicate that the serotonin system is involved in the development of gastrointestinal symptoms in autism. These studies involve mice with a genetic mutation seen in people with autism that affects gastrointestinal and serotonin function. These mice have features similar to those of some people with autism. Although the links are currently unclear, it is possible that breakthrough autism treatments may start in the gastrointestinal tract. Researchers are studying whether gastrointestinal symptoms are a manifestation of the neurodevelopmental condition that could be a clue to its physical and biochemical development. What is clear is the importance of correctly testing for, diagnosing and treating gastrointestinal disorders in this population. Anyone in pain or suffering from gastrointestinal distress will have difficulty focusing on mental tasks. This can have distinct repercussions on the many interventions used to treat autism. This “article” is pathetic and of ZERO scientific or practical substance whatsoever. IMHO, the authors and publishers should be sanctioned for publishing such bogus information and a clearly non-substantiated headline…meant only to deter parents from doing the most instinctive and scientifically sound thing they could do for their child with autism > IMPROVE what they eat and the nutrition they receive. Most stupid article on autism I have ever read. Comments that contravene these guidelines will be moderated, and may be deleted. Thank you for helping us maintain a safe, inclusive and constructive debate space. Hi Claire! Do you work for the publication? They don’t seem to have a phone number? I appreciate your desire for decorum, but do realize that can come off insulting when your publication uses such sensational and contrived headlines with zero scientific substance, just to get views and influence people’s opinions. that you’re deterring Autism Mothers from giving strategic consideration of what they feed their children (which suffer physical issues you acknowledge). in alleviating symptoms, though this has not been demonstrated.” Yet Dr. James Adams at ASU has been demonstrating such and published results for many years – are you unaware of the breadth of research that both substantiates parents and doctors suspicion of gluten and choice to NOT consume it, or the papers and studies that demonstrate that omitting it from the diet of a child with autism correlates with positive health response? I request parents to completely ignore this article . They should try gfcf diet for 2-3 months and take a call thereafter. ASD is a Physiological disorder, scientific research tells us that this audience suffers many underlying factors that affect the severity of varied symptoms…factors that are influenced by the Food and Nutrition children receive. NOT talking about this is a disservice to the global autism community. The reasons far exceed concern for gluten, and the GFCF diet is only one strategy employed and proven helpful. Bottom line is, when parents go from NOT paying specific attention to food/nutrition, TO paying attention – children around the world routinely benefit. There are REASONS these kids crave carbs, reasons for “picky eating” that can be addressed and helped. Strategically omitting problematic food/substances and adding good nutrition is perhaps the most scientifically and practically supported intervention – Spectrum News should stop dilly dallying around and please 100% advocate specialized attention to the DIET of children with Autism and ADHD. This is not a questionable “intervention” nor harmful one when followed intelligently. If making diet changes didn’t “work” for you, there are likely many factors at play…that can further be adjusted. Don’t be misled to thinking that the GFCF Diet, or GAPS Diet is “the” autism diet – not true. Each child is unique, and while there are tactics that help every child to some degree, ultimately a bioindividual approach is required. Hi there. As previously mentioned on this thread, comments that contravene our comment policy will be moderated and/or deleted. Please review our comment policy prior to leaving a comment if you are unsure whether or not it will contravene this policy: https://live.spectrumnews.org/about/. 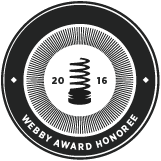 Thanks for your consideration. Did you have to post that AGAIN… seems the moderator deleted you! Hi there. Your comment contravened our comment policy. We are very clear about this policy and encourage you to read it before commenting in the future. Here is a link: https://live.spectrumnews.org/about/ Comments that contravene this policy will be moderated and/or deleted. Thanks for your consideration. How specifically did the JayS comment contravene your policy? Please explain, because it’s really not clear. Hi there. You are welcome to comment on this article, however all commenters need to stick to our guidelines (available to read here: https://live.spectrumnews.org/about/) and to be polite in their comments. Thanks. I think parents should try gfcf for 2-3 months and decide for themselves. Bottom line is, when parents go from NOT paying specific attention to food/nutrition, TO paying attention…children around the world routinely benefit. There are REASONS these kids crave carbs, reasons for “picky eating” that can be addressed and helped. Strategically omitting problematic food/substances and adding good nutrition is perhaps the most scientifically and practically supported intervention. It would be great if Spectrum News would accordingly advocate specialized attention to the DIET of children with Autism and ADHD – which is not a questionable “intervention” nor harmful one when followed intelligently. If making diet changes didn’t “work” for you, there are likely many factors at play…that can further be adjusted. Don’t be misled to thinking that the GFCF Diet, or GAPS Diet is “the” autism diet – not true. (again, nothing controversial in this comment which directly associates with the article, no violation, no rationale for removal). Spectrum News commenting guidelines indicate “We will delete comments that… contain claims that don’t square with scientific evidence.” If so, perhaps this article should be deleted, save the authors “square” the following: 1) “There is a misconception that gluten is exacerbating or causing the features of autism” (citation please, specifically on the assertion of “causing” autism), 2) “The role of gluten in the development, progress and treatment of autism is complex and under intense scrutiny” (where exactly is the “intense” scrutiny occurring? ), 3) “Most of the studies following the effectiveness of gluten-free or casein-free diets in autism have been shown to be either flawed or too small to be statistically valid” (where you get this? ), 4) “Many rely on the reports of a parent or caregiver and may be influenced by the caregiver’s desire for a positive outcome” (from where do you conjure this? 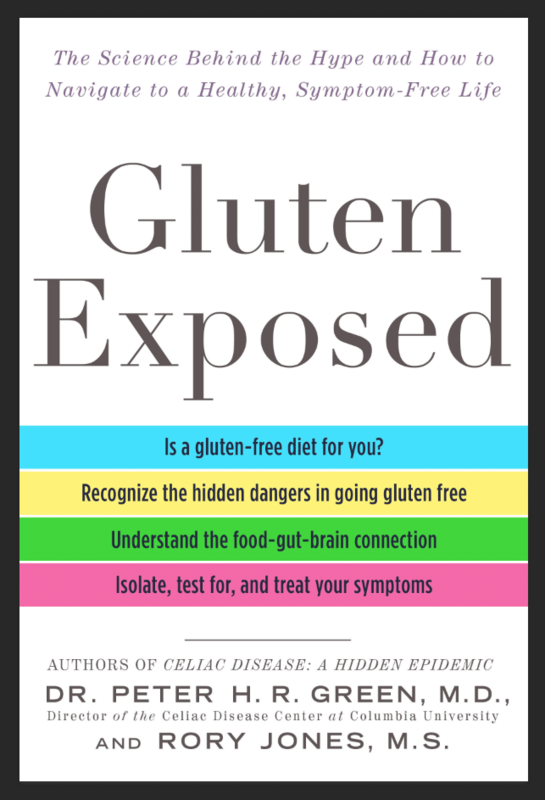 ), 5) “For those with nonspecific IgG antibodies to gluten, it may be helpful in alleviating symptoms, though this has not been demonstrated.” (what process did you follow in reaching this conclusion?, 6) “A gluten-free diet is often low in fiber and essential nutrients” (where did get this? 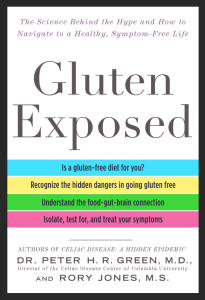 as there is no standard for a gluten-free diet), 7) “Recent studies on the presence of heavy metals in people on a gluten-free diet highlight possible neurological complications that need to be studied further.” (you must explain your insinuation that going gluten-free could have neurological implications, 8) “parents may be seeing results that relate more to therapy than to diet” (please explain yourself, this statement is fully nonsensical). Alisa Opar wrote a similar useless article back in 2008. The book she has now written won’t sell 5 copies now. Peter Green and colleagues have just published an interesting paper: Intestinal cell damage and systemic immune activation in individuals reporting sensitivity to wheat in the absence of coeliac disease http://gut.bmj.com/content/early/2016/07/21/gutjnl-2016-311964.full that could be relevant to the discussions here. Martin – You’ve raised a complex issue and I’m happy to respond. Of the five well-controlled studies reviewed in the past few years, three reported no positive effects of the diet. These were rigorous ‘double blind’ studies where food was disguised so that all participants were ‘blind’ to the specific intervention being used. And the two that showed a positive effect at the end of a year on the diet were based on parent report and since the parents were not blind to the treatment being used, their desire for and investment in a positive outcome – the placebo effect – affects the rigor of the results. Many in the diet group also dropped out which might mean that nonresponders may have withdrawn, therefore biasing the results. Importantly, for those parents who do choose to undertake a GF regimen, it is extremely important that they understand not only the lifestyle changes that the diet imposes, but the nutritional issues involved so that they keep their children well nourished. The GF diet is low in fiber, B vitamins and iron. Given the role of folate [B9] in brain development, this is only one example of a potential pitfall of the diet. As we note, the GF diet gives with one hand and often takes with the other. Here in the UK, NICE (the Gov body which oversees clinical interventions/medicines etc) have had Gluten/Casein Exclusion Diets flagged as ‘DO NOT DO’ interventions (in Autism Management) for the past few years – they were quite popular either side of the Millennium. This advice is after a significant review of evidence by an expert clinical panel – you’ll find links to both from the below.. I take the authors’ point that many people with autism may not benefit from a gluten-free diet. The paper would be more convincing, however, it they were willing to concede that SOME people — even those without Celiac– do benefit from such a diet. My daughter is one of those who does better without gluten and casein–not my opinion, but hers. We changed her diet when she was 17, and she reported less gas, less diarrhea, etc. I would not advocate this for everyone, but it worked for her. Autism is such a complex, individualized disorder that interventions also need to be highly individualized. I was hoping, honestly, that the GFCF diet would not help my son because it is kind of a pain. My pediatrician discouraged me, the developmental specialist discouraged me but I did it anyway because another ASD Mom said it was worth a try. Well my son’s incessant diarrhea stopped the next day. He is still ASD but no more 10x bowel movements a day, thank God. Incredibly all the doctors I consulted just gave bad advice: “do nothing, he’ll grow out of it,” “special diets are dangerous!” My son eats a super healthy GFCF diet. I sought and received additional dietary intervention help from Julie Matthews of San Franciso. That $150 was the best money I ever sent- vs. the numerous $700 bills for every useless neurologist appt or the $300 per hr bill for developmental pediatricians. Spectrum is very late to the party but food is medicine. Starting a special diet for kids with autism is very-VERY difficult, but that should not be a reason to not try a gluten-free and casein-free diet. I’m a parent of an 11 year old with autism and we did start the GFCF Diet 8 years ago before our son was even diagnosed. After 8 years we are fully committed to this lifestyle and our entire family is healthier because of it. If anyone is interested in learning more about how to start a GFCF diet the right way, I invite you to check out my complete guide to starting a GFCF Diet. http://imsimplyadad.com/gfcf-diet-guide. I also invite the moderators to check it out. I think you(the moderators) would agree with many of the recommendations I make for a healing GFCF diet.